Happy 2018, friends! I hope that you have had an amazing start to your year so far! It is super cold here, but I am staying busy with Creativation items for Pinkfresh Studio, and getting things ready for the first wedding styled shoot that I've organized which is on Thursday! I am super excited about it, and I really hope that everything comes together perfectly - I'm a little bit nervous about it! 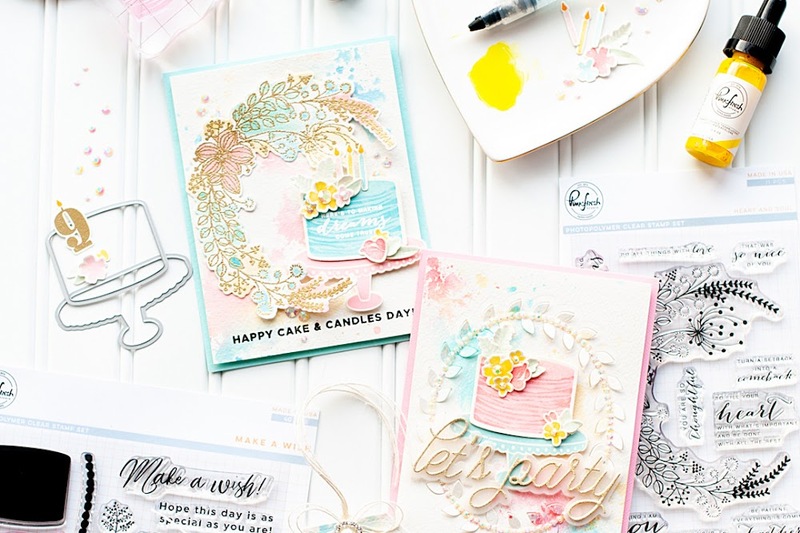 Today I have my 2nd guest post with My Favorite Things to share with you, and it is up on today's post at the MFT Stamps blog! 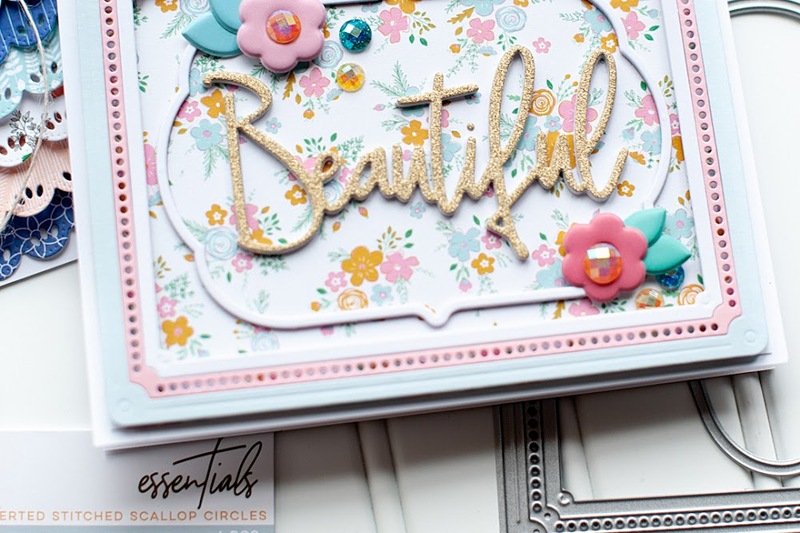 Also, everything from MFT that I used will be linked below! 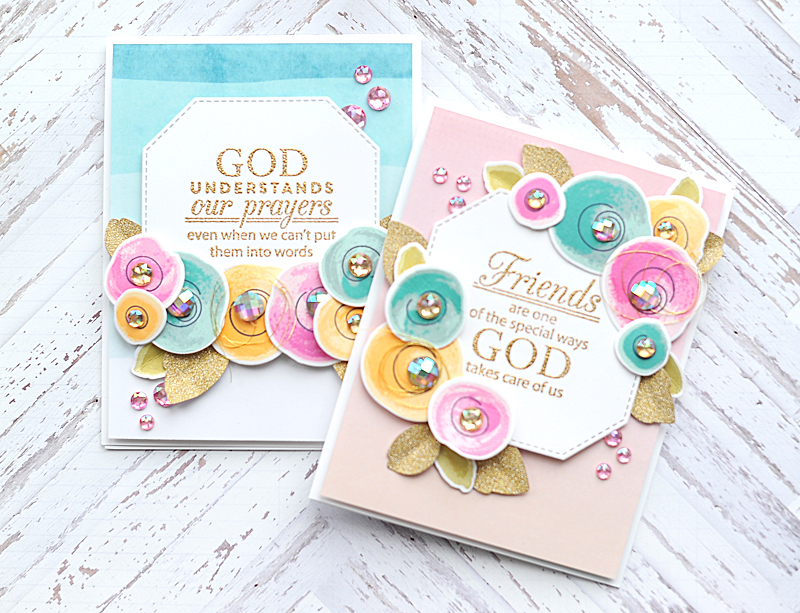 For today’s post I am focusing on the newly released Painted Flowers stamp set. I fell in LOVE with this set the moment it arrived in the mail, and couldn’t wait to use it! 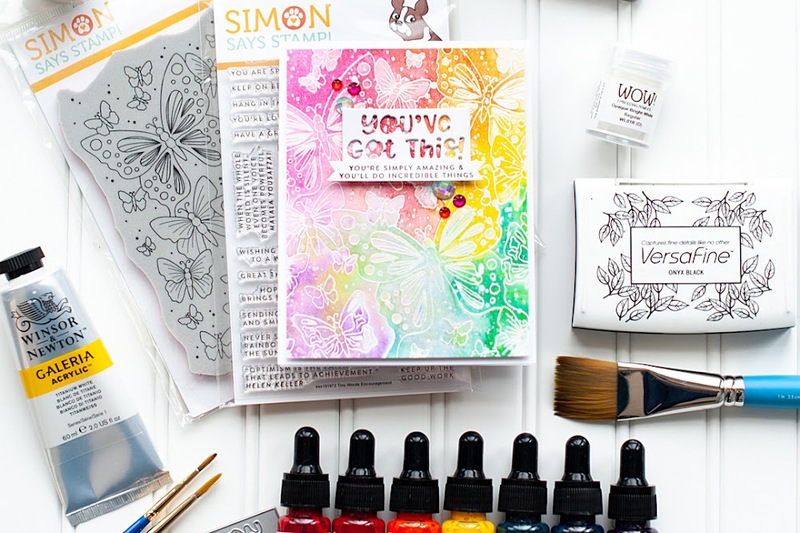 But here is something that maybe you can relate to — multi-step stamping doesn’t come naturally to me and I normally spend a good hour just marking the top of the stamp set, making notations about what goes together, where the top is, etc. Imagine my excitement when I saw that MFT GIVES you all of this info already right on the stamp set! I could just start stamping, and knew I was going to be successful at it!